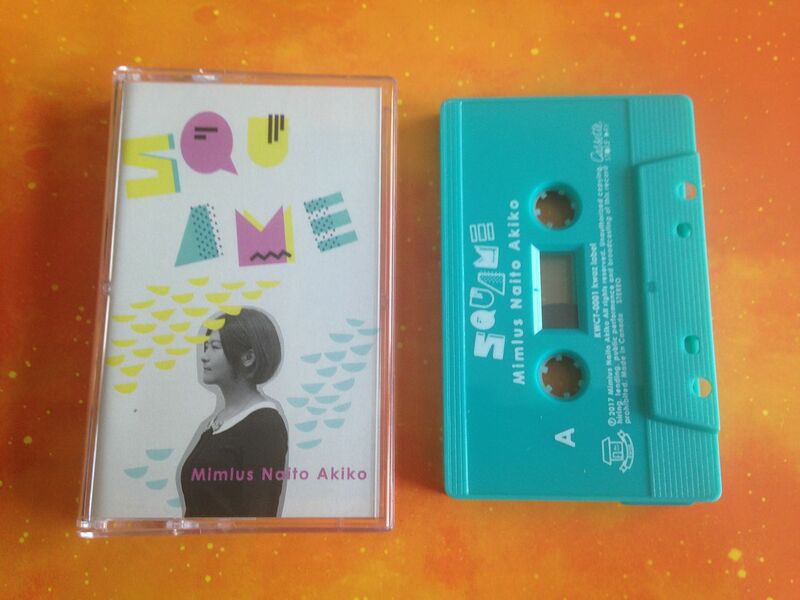 Raised by Gypsies ::: Cassette Review: Mimlus Naito Akiko "SQUAME"
First and foremost, I would like to recognize how far this cassette traveled to get to me. 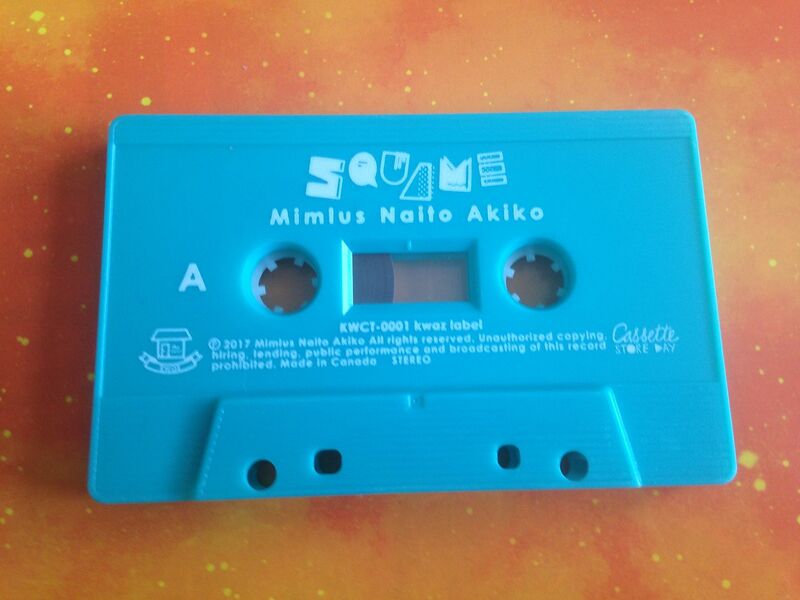 Say what you want about cassettes, but this made it from Japan to the United States without a single crack in the case. 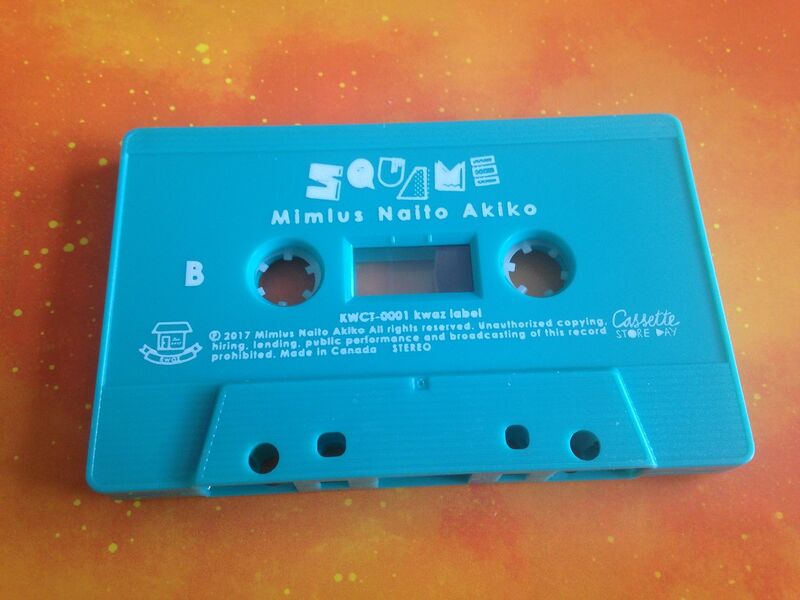 Funny how I can sometimes get cassettes sent to me from within the U.S. with their cases pretty much destroyed. Also, to be fair, when I got this package and was opening it I had the Weezer song "Across the Sea" playing in my head. 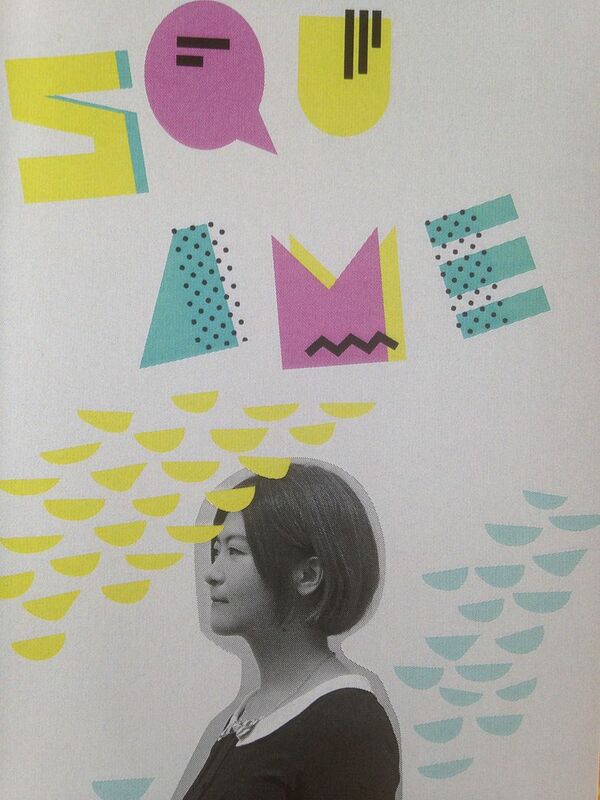 "SQUAME" begins with a song that is an acoustic guitar + vocals. It reminds me of Plain White T's for some reason, but mostly their older songs, such as from the album "Stop". A harmonica comes in and this is really melodic. 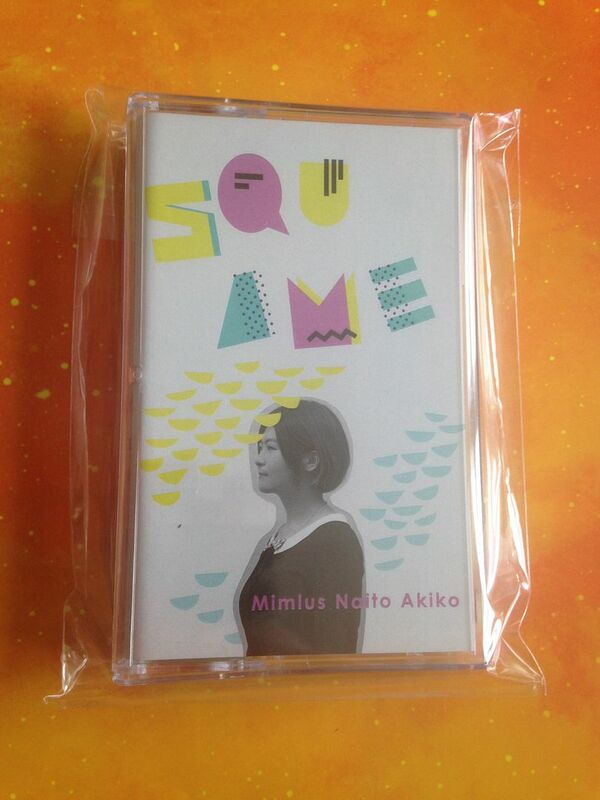 If this was the course the entire cassette took, I'd be fine with it as Mimlus Naito Akiko has a soothing, friendly and often times familiar feeling voice. It's not something that you'd listen to before sleeping like a lullaby (or to relax) but it can be relaxing and energetic at the same time. This, of course, only based on the first song. Pianos, claps and more instruments take us through the rest of Side A. It's got this upbeat feel to it overall. 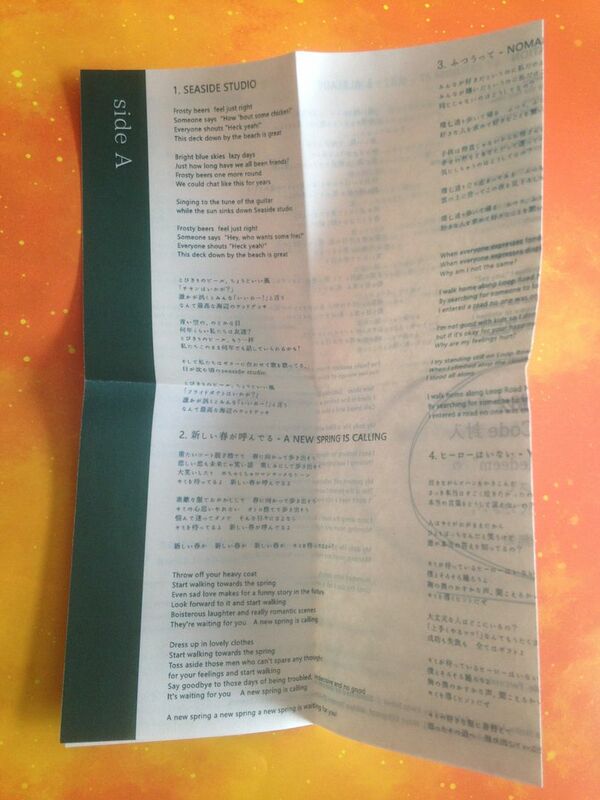 The lyrics are sometimes in English and other times in Japanese. I kind of like them better in Japanese but don't ask me why. Somewhere between Elton John and the soundtrack to a Disney film (and I'm fully aware of that song in the "Lion KIng" but this isn't like that), synth keys also make an appearance which makes me think of a television theme song from the 1980's: not specifically "Alf" but something along those lines. As Side A comes to a close I'm feeling like this is similar to "Walking On Sunshine" in the way that I want to put it into my Walkman and go outside with it, as it is bright and sunny out right now (And that is something I will do, if not today then eventually) and it will make my walking more pleasant. I also really want to hear Mimlus Naito Akiko cover the theme song for "Ducktales" for some reason but maybe that's just me. 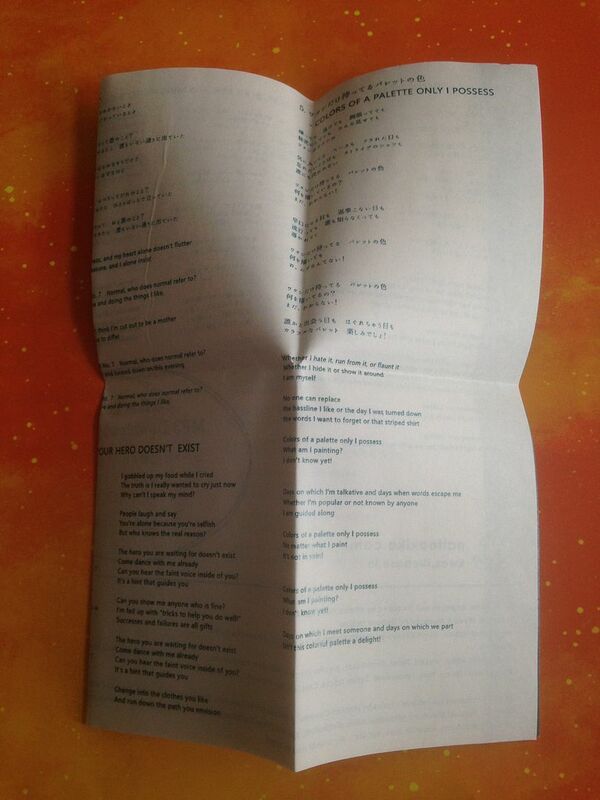 On the flip side we start with an acoustic song (as this entire cassette began) but it just has this great build to it. This is accompanied by a trumpet (I believe) and this feels so soft, so calm and yet it so strong, so powerful. As much as I hear elements of the past in these songs, "15 Minutes To The Station" is a great example of how the past can blend with not only modern music but also the future of it as well. Part Cardigans, part... Well, just look at the current bands I like to compare with the Cardigans. Have I mentioned yet that in ways this reminds me of "The Muppets"? I grew up with "The Muppets" and their music in a lot of ways though, so having that feeling of nostalgia is nice in itself, but never forget that those behind the songs truly knew what they were doing. 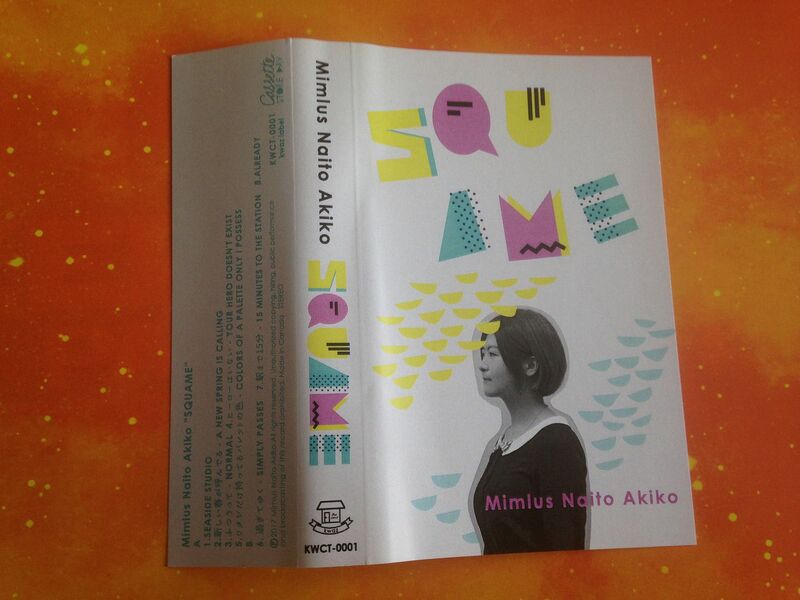 If there was a modern "Muppet Show" I could easily see Mimlus Naito Akiko on it as a guest. I haven't had someone pass that ~Muppets test~ recently- maybe even for years- but it is definitely a positive to hear it in these songs. Edie Brickell can come out on some level as well but what I love most about this cassette- and perhaps the biggest thing you should take away from it- is that while it might feel simple at first, as a guitar and voice, it grows into something much more complex. While it might seem like it is retro at first, it grows into some combination of paying tribute to the past while paving the way for the future as well. The music is so many different things all at once and yet none of them at the same time. I hear a somewhat pop sense in that this should appeal to everyone but not in the same way that it would be a Billboard Top 100 hit. It is, in short, what I think the standard of excellence in music should be set at.